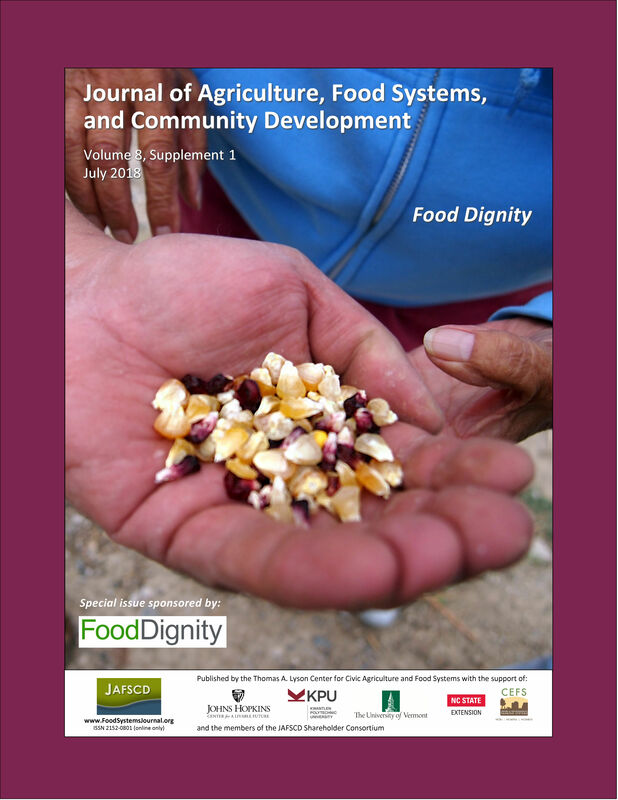 The Food Dignity project brought teams from five community-led organizations working on local food systems together with researchers from four academic institutions, to learn from community strategies for building sustainable local food systems and improving food justice. This reflective essay describes the emergence and refinement, within this context, of a values-driven methodology for surfacing, protecting, and conveying the strate­gic thinking and theories of change held by com­munity practitioners. Knowledge utilization is too often viewed as a one-way street in which research-derived knowledge is expected to infuse and im­prove practice, without sufficient focus and mech­anisms to ensure that practice-derived knowledge is valued and brought forward. Collaborative Path­way Modeling (CPM) addresses this gap by offering a practical tool for capturing and present­ing practitioners’ theories of change. Importantly, the models that are produced are not just useful as tools for research. They have been valuable and useful to the community organizations themselves, underscoring a central commitment in CPM to equity and respect for community expertise and intellectual property. In this paper we describe the origins and development of CPM and its research-derived approach to program modeling, situate CPM relative to calls for greater community involvement in research, and present the values and process that define the methodology. We share stories from developing the community partner models, and conclude with reflections on the nature of the work and its larger potential for bringing forward essential diverse sources of knowledge in many arenas.